For the first time ever, I hope the toys for this line WON'T be show accurate. um.. i agree with you there..
And people said the MOVIE designs were bad?! The Movie designs are works of art compared to this. I really hope this is just an ad and not the finished product cos by golly, even I think it looks bad. If it IS the finished product, hope to Primus the animation can salvage it somehow. 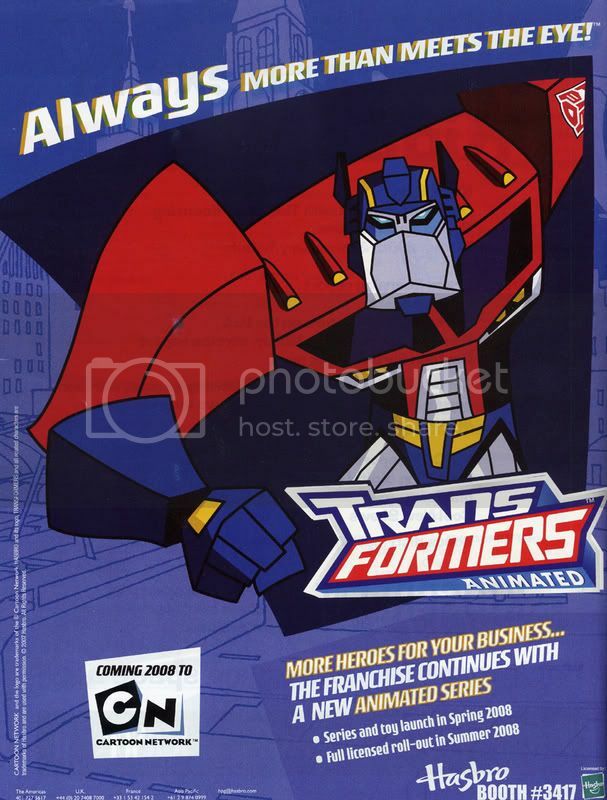 Well it's "Always" "More than meets the eye!" I hate north american animation. I hate it with a fierce passion. And this only gives me more fuel to make that passion burn even brighter. Fail, fail, fail. I am terminally sick of the ubiquitous bad-drawing-in-place-of-a-style style of animation on our continent. It's flat and grotesque. Wow, what did Takara do to Hasbro to get such treatment?